AP POLYCET Notification 2019, Scheduled. The State Board of Technical Education and Training, Andhra Pradesh is going to conduct the AP Common Entrance Test for Polytechnic on 30th April 2019. The candidates will get admission in the various polytechnic colleges by rank obtained in the test. You may also visit the Official Website sbtetap.gov.in (or) polycetap.nic.in to download Official Andhra Pradesh Polycet 2019 Notification. 1.4.1 How to fill AP CEEP Application? AP Polycet is a State level Entrance Examination to be held to get admission into the Private or Government Polytechnic Colleges. Every year the State Board of Technical Education and Training (SBTET) conducts the AP Polycet Entrance Test. The SBTET is successful in organizing the test across various examination and is releasing the results on time. In a similar manner, for this academic year 2019 also, the SBTET conducting the Andhra Pradesh CEEP Exam in April 2019. Therefore, it is Good News for all the Students. So, without wasting your time, you can check the AP POLYCET Notification 2019 and can also apply for the Entrance Exam. The candidates can check the complete AP Polycet Exam 2019 complete details. You can have a look at the latest updates in the AP CEEP Exam. The eligibility criteria, age limits, application fee, application availability dates can be given in detail on this page. Therefore, you can also download Official AP Polycet 2019 Notification from the below link. You may apply for the CEEP Polytechnic Entrance exam 2019 online and also offline modes. Organization Name: State Board of Technical Education and Training, Andhra Pradesh. Name of the Examination: AP Polycet Exam 2019. Date of Exam: 30th April 2019. Mode Of Apply: Online / Offline. Level of Exam: State Level Exam. A huge number of candidates who are eagerly looking for the Andhra Pradesh State Polytechnic Entrance Exam 2019 can download Advertisement Form. It is an important document which helps the candidates to check the Exam Pattern, Exam date. Candidates who are eagerly waiting to get admission into the Polytechnic Diploma courses like Technical, engineering, non-engineering streams can download AP CEEP Notification 2019 from our page. The candidates will get the AP Polycet Notification & CEEP Application Form either through online or offline. The individuals have to fill the Andhra Pradesh POLYCET Application form with all necessary details only in the correct format. Otherwise, the application form will not be valid. CEEP means Common Entrance Exam for Polytechnic. To apply for the Andhra Pradesh CEEP Exam, the candidate has to follow the below-mentioned guidelines. If not, you are not eligible for the AP Polycet 2019. Candidate must be an Indian Citizen to apply for the AP CEEP 2019. The individual must belong to Andhra Pradesh State or must have qualified from the AP Schools. There is no age boundary for the interested aspirants. The candidate must possess SSC or equivalent certificate issued by Recognised University. Starting date to apply Online 7th March 2019. Last date to Submit Application 21st April 2019. AP POLYCET 2019 Examination Date 30th April 2019. For SC/ ST category Students Rs. 300/-. General Category Candidates Rs. 350/-. The SBTET will conduct the Andhra Pradesh CEEP Exam in April 2019. 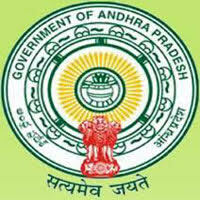 Interested and the eligible contenders can apply for the AP CEEP 2019 on or before the last date. Otherwise, the application will not be valid. To avoid the confusion, the candidates can buy the AP Polycet Booklet for Rs.20/-. After reading the booklet carefully, you can start the process of Online application. The candidate has to fill the AP Polycet Online application with all necessary details such as educational qualifications, address, etc. only in the given format. How to fill AP CEEP Application? Initially, interested candidates have to visit the nearest helpline centre/ Official website. Collect the AP Polycet Application Form. Affix the photograph on the application. Submit the Application form to the nearest AP-Online/ Mee-Seva/ Helpline Centres. Finally, collect the copy of application form for future use. Therefore, the SBTET will conduct the AP Polycet 2019 Entrance Test at pre-allocated examination centres. The duration of the exam will be 2 Hours. The question paper will consist of 120 objective type questions. Each question carries one mark and there is no negative marking for incorrect answers. Though One mark will be awarded for the correct answer. The test will comprise of questions based on Mathematics, physics, chemistry topics. The minimum qualifying in the AP CEEP 2019 Exam is 32 out of 120 marks. AP Polycet Notification 2019 has not yet released. Whenever it released, we will update those details on this polycet.co.in web page. When the onlineapplication for polytechnic entrance test 2017 will be put for submission. how to pay exam fee in my personal banking . Is there any chance for me ?